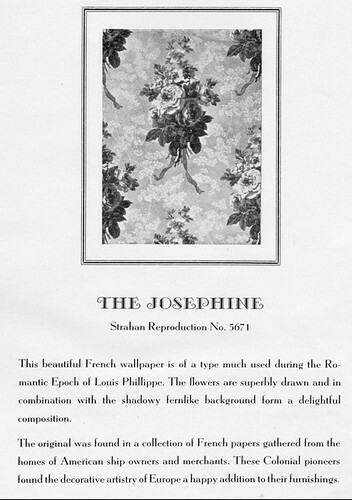 This beautiful French wallpaper is of a type much used during the Romantic Epoch of Louis Phillippe. 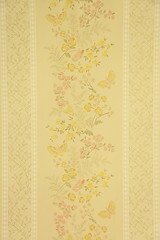 The flowers are superbly drawn and in combination with the shadowy fernlike background form a delightful composition. The original was found in a collection of French papers gathered from the homes of American ship owners and merchants. These Colonial pioneers found the decorative artistry of Europe a happy addition to their furnishings. This pattern is discontinued. Contact the manufacturer, Thomas Strahan (pre-1975), for special/custom order inquiries.